We build fully responsive clean looking search engine ready websites for all budgets. This involves designing your content to be flexible (responsive), images to be optimised and the layout of your website to have the ability to respond dynamically to whatever device Phone, Pc or Tablet that your visitor is accessing it. 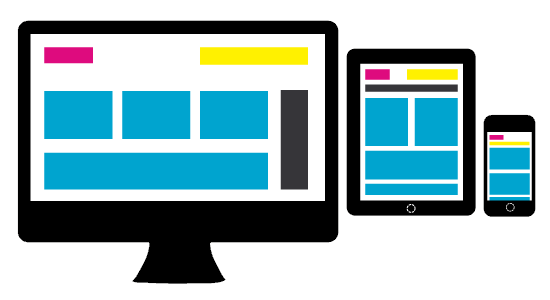 Given the fact that up to 65% of the population regularly access the internet on mobile devices it’s vital that your website is easy to access both on large screens and view and read on smaller handheld screens. All our websites are built search engine ready with simple ease of management, so you can make changes to your website when you need to – or if you like we can even do that for with our fully managed service. We work openly with you to produce a website that you are happy with. The initial web design stage is free and you won’t part with any money until you’re happy with the look of the website. We will need to learn about your operation to know what is best for you, we need to know who your customers are and how best we can target them. All this is done in our initial free consultation with you. Call us on 01226 758311 to find out more.